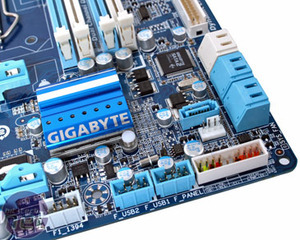 While Gigabyte hasn't made a truly great high-end motherboard in a few years, it has an unparalleled track record of success in the sub-£100 part of the market, thanks previously to boards such as the awesome GA-P31-DS3L. 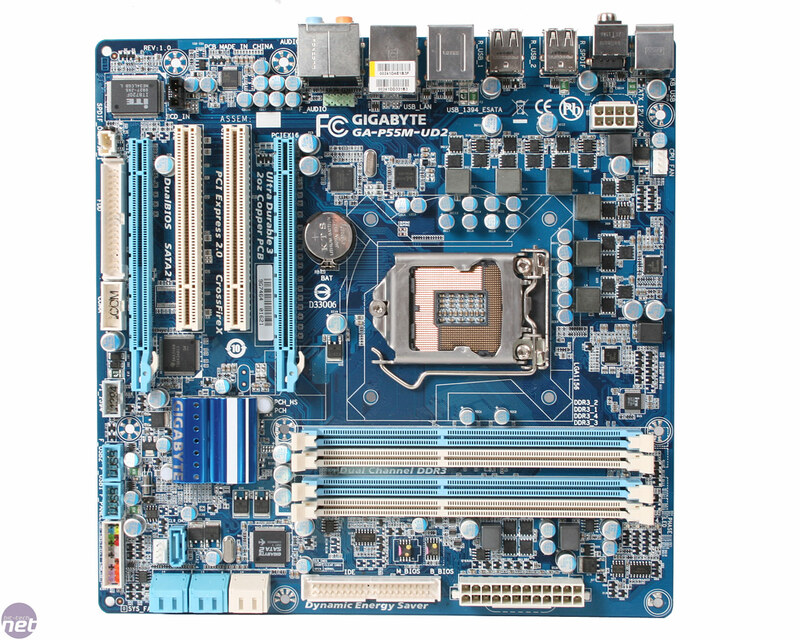 We've recently seen quite a few P55 and H55 motherboards, yet the P55M-UD2 we are reviewing today is one of the best for its price to feature ratio. Gigabyte has managed to keep the price down by opting for the small micro-ATX form factor, but nevertheless, the GA-P55M-UD2 has four DDR3 DIMM sockets, two PCI slots and two 16x PCI-E slots. Although this means that, the GA-P55M-UD2 supports CrossFire, as the second slot only has an 4x link, it could well limit the performance of a second graphics card in games. 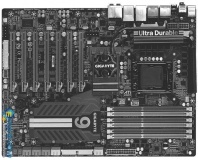 Despite its compact size, the GA-P55M-UD2 is well laid out thanks to six of the seven RAID-capable SATA 3Gbps ports being mounted parallel with the PCB for neat cabling. There are 14 USB 2 ports, plus a pair of FireWire ports and a single eSATA port dropped into the mix too. 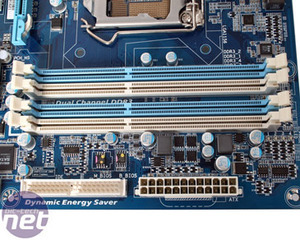 The CPU socket has a basic six-phase power with no additional cooling on the MOSFETs, but that didn't prove a limitation in our air-cooled overclocking. 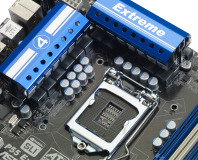 For more extreme overclocking, you'd be better off spending more than £85 on a motherboard anyway. 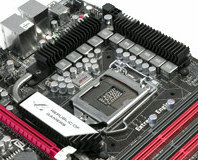 The area around the CPU socket is spacious enough to accommodate large coolers, although like many Intel boards these days coolers such as the Titan Fenrir will overhang the memory slots in some way, so low-profile memory is recommended. 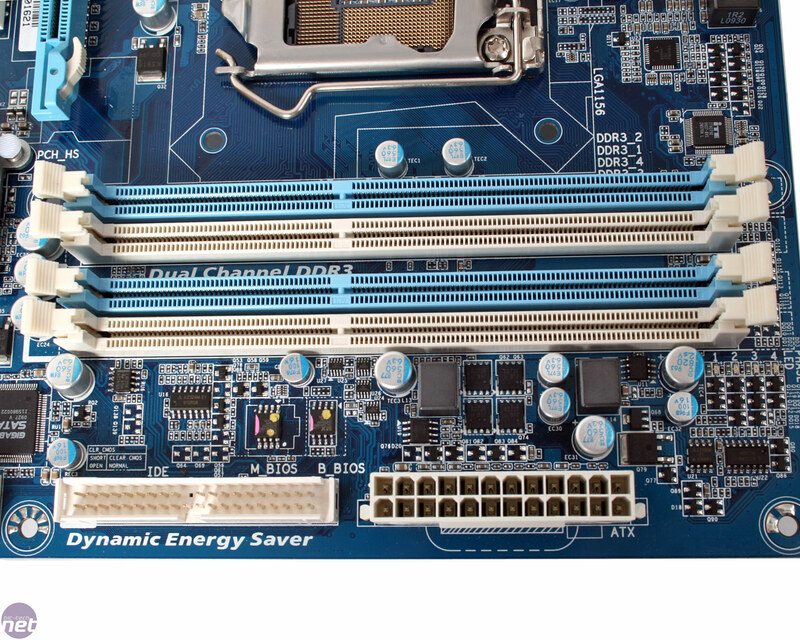 Despite the board being of normal ATX width, it's still limited in space enough that the memory cannot easily be removed when a graphics card is installed. 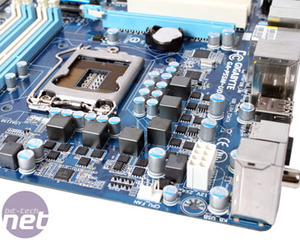 Despite this, the rest of the ports and pin-outs are always easily accessible around the edges of the PCB. 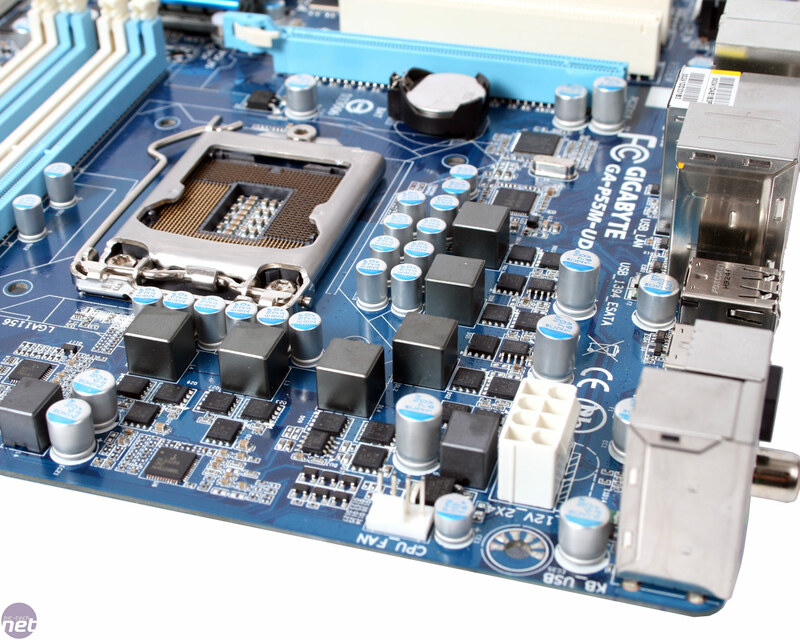 While the UD2 lacks many of the flashy features of more expensive motherboards, such as SATA 6Gbps and USB 3, it still has plenty for most people and PCs. There's even a great BIOS and overclocking experience to belie the low price. The rear I/O includes no less than ten USB 2 ports, plus eSATA, Firewire, RJ45 Ethernet, PS2 keyboard or mouse, both types of S/PDIF audio and six 3.5mm audio jacks. 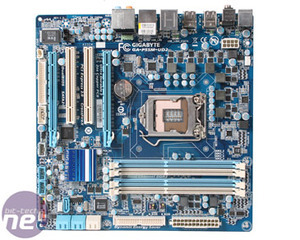 For a bargain board, the UD2 has everything (bar USB 3) that we want to use. It could be argued that it's missing powered eSATA but that's become a dead standard since USB 3 arrived, and very few products now make use of it. The P55M-UD2 is a bit of a favourite in the labs, and we've used it in quite a few builds, hence the, er, bend.